If you are looking to make small. 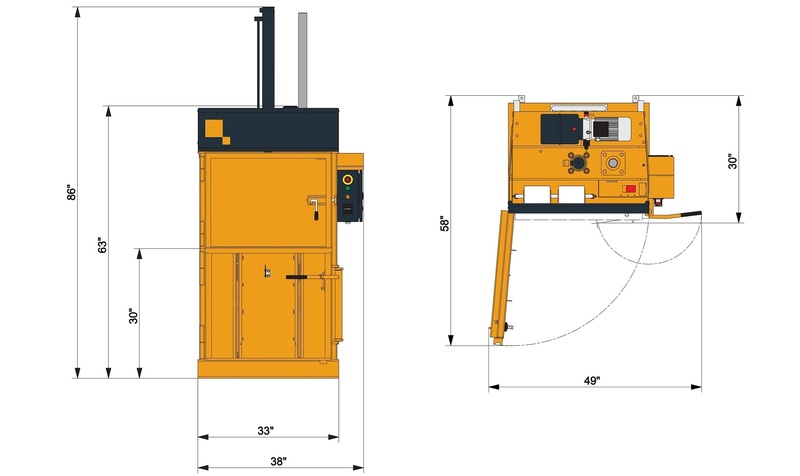 easy to handle bales of textiles, clothing, cardboard or shrink wrap this PeeWee Baler is a great choice. The light weight of the machine makes it easy to move around to different locations. Operation is very simple and the baler takes up very little space. 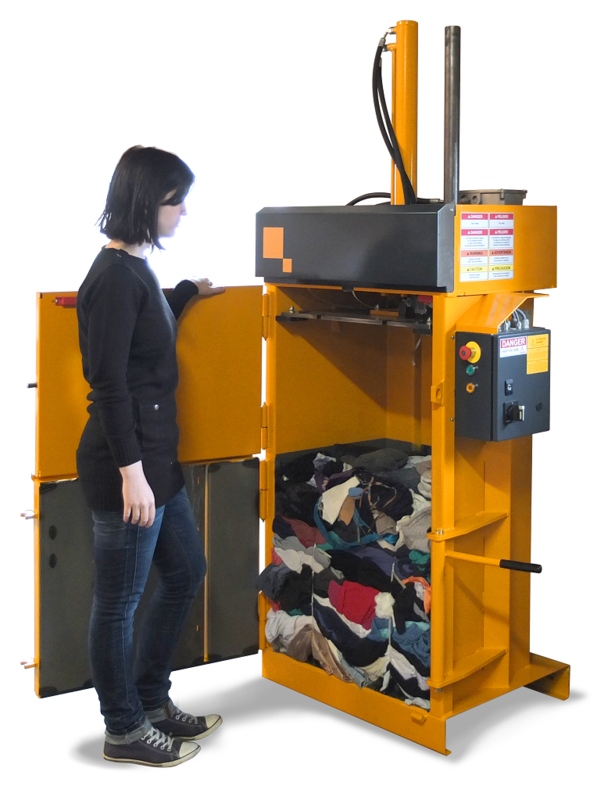 Ideal for baling clothes that are intended for second hand use. Since the footprint is so small it can be used just about anywhere. Baler can be placed flush against the wall since bale removal and bale strapping can be performed from the front. Depth with door open 58"